Drat! I was in Readings Bookshop today and I *knew* there was another book I wanted to buy and I couldn’t remember what it was called. Thanks for a great review, off to buy it online this very moment!! Yes, you are right, me and my credit card, we are incorrigible! Wonderful review! I rarely read modern books but I am always open to good books form any era. 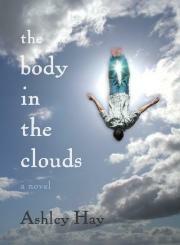 The Body in the Clouds sounds good. Thanks! Oh no, I’ve come here to read your review after you commented on mine, and I see that I ordered the book and had no need to borrow it from the library! But what have I done with it? It’s not sitting obediently on the HIJ TBR shelf … but that might be because I have run out of room on some shelves and so some acquisitions are not obediently where they should be. I have been working on the overflowing ‘M shelf, but I can see that I need to get some of the others under control too. O woe is me. *puzzled frown* Is 720 books on the TBR maybe too many?